Royal blue with embroidery cheongsam dress. Mandarin collar, short sleeves.cAnkle length. 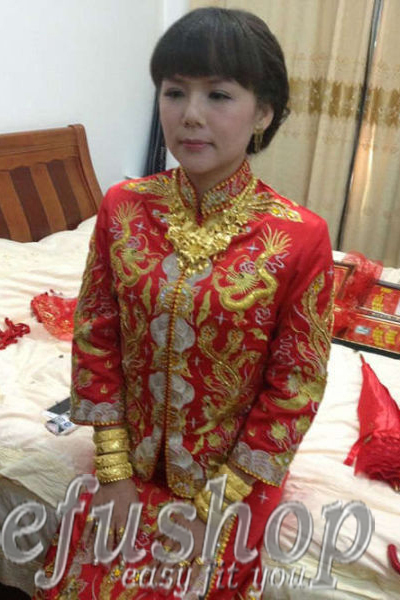 Classical cheongsam dress.Wearing it, you are the most elegant and noblest person on your wedding day! Phonix and dragon embroidery cheongsam dress.